Holy Family Catholic senior guard Leigh Steiner admitted after Friday’s game that she likes to talk. So far this season, Steiner’s vocal leadership has paid dividends for the Fire. 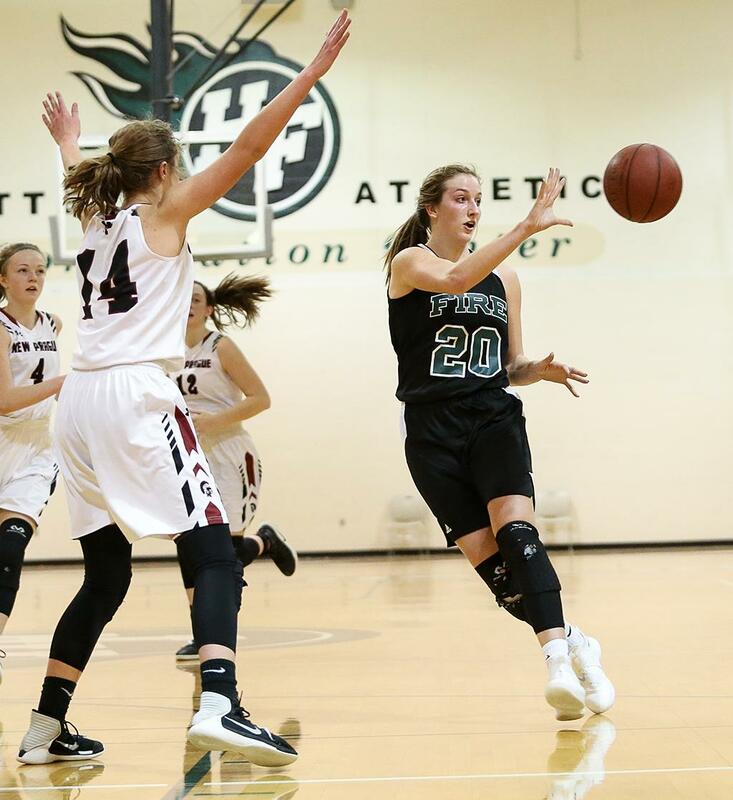 This included Friday, as Steiner had a team-high 17 points and led a stout Holy Family Catholic defense as the Fire defeated New Prague 61-46 at Holy Family Catholic High School. Holy Family Catholic had revenge on its mind heading into Friday. The Fire, ranked No. 5 in Class 2A by Minnesota Basketball News, suffered a 60-50 loss in New Prague on Jan. 18. The Fire’s focus, then, heading into the season’s second meeting was to slow down the Trojans’ offense, which scored 37 second-half points in the January game. That No. 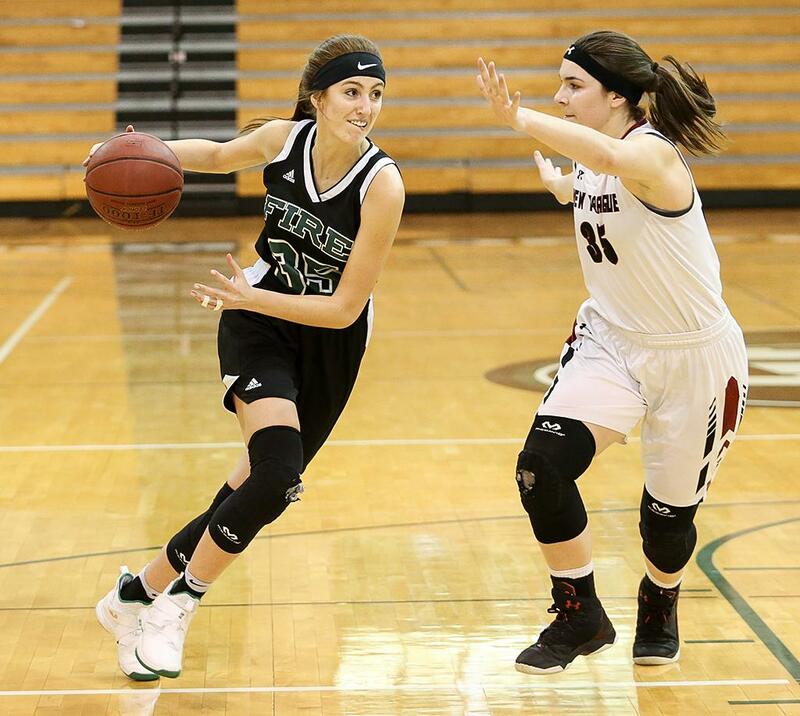 35 is New Prague (12-11, 6-2) junior forward Emily Russo, who came into Friday’s game averaging a team-best 16.8 points per game and tallied 14 against Holy Family Catholic back in January. 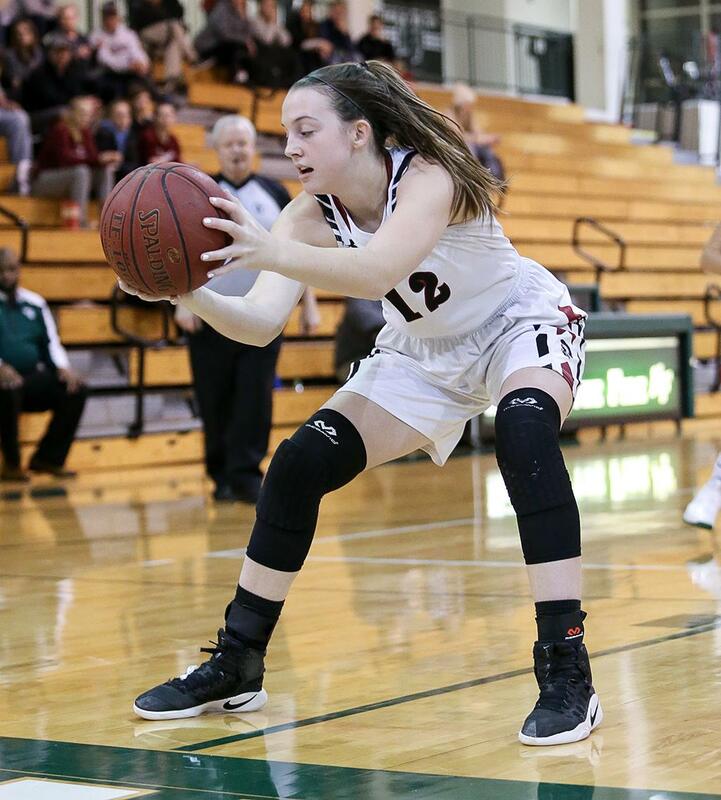 The Fire (17-4, 6-2) accomplished their goal of slowing down Russo on Friday, holding her to nine points, including a mere three points in the second half. Holy Family Catholic senior forward Julia Geurs had the task of defending Russo and succeeded for the most part. Geurs finished the game with 14 points and 12 rebounds. Aside from slowing down Russo, Steiner made life difficult for New Prague. She was at the top of the Fire’s 1-2-2 zone defense. Her pressure caused the Trojan guards to look uncomfortable at times. Russo’s struggles could be attributed to foul trouble through most the game. Steiner and Geurs weren’t afraid to go to the hoop and draw a foul. 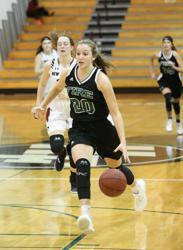 With the win, its sixth straight, Holy Family Catholic is now tied atop the Wright County Conference East standings with New Prague. The last time the Fire suffered a loss was to New Prague, a game Turner and Steiner said was a wake-up call. With Holy Family Catholic considered a top-tier team in Class 2A, the Fire will be considered favorites to get to Target Center when the postseason begins. If Holy Family Catholic does that, it will be on the back of players like Steiner. After falling to New Prague 60-50 on Jan. 18, Holy Family Catholic got its revenge on Friday with a 61-46 win at home. The Fire (17-4, 6-2) built a lead early thanks, in part, to senior forward Leigh Steiner, who had a game-high 15 points in the opening half. She finished with 17. In the second half, senior center Julia Geurs took over for the Fire, ranked No. 5 in Class 2A by Minnesota Basketball News, tallying 10 second-half points and finishing with 14. Geurs also pulled down 12 rebounds. The Trojans (12-11, 6-2) struggled to get their top scorer, junior forward Emily Russo, into a rhythm. Russo, who came into Friday’s game averaging 16.8 points per game, finished with nine points. Junior forward Amanda Giesen stepped in and scored a team-high 19 points. With the win, Holy Family Catholic now sits atop the standings in a tie for first place with New Prague.